Dalhousie Originals is a weekly storytelling project that acknowledges and celebrates the impact and contributions made to our campus, country and world by some of the outstanding individuals associated with the university since 1818. Dalhousie University shares its name with a community in New Brunswick, a hill station in India, a beloved series of novels by Alexander McCall Smith. But… a sandwich dressing? Dr. Dahn and his acclaimed battery lab are doing more than their fair share in that regard. He’s won some of Canada’s biggest scientific honours, formed partnerships with global industry leaders and developed lithium-ion battery technology used in products around the world today. 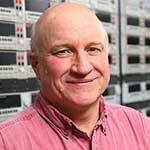 After receiving his BSc from Dal in 1978 and a PhD from the University of British Columbia in 1982, he eventually made his return to his undergrad alma mater in 1996 as the 3M/NSERC Industrial Research Chair. From the get-go, Dr. Dahn and the students in his lab focused on inventing materials that would improve lithium-ion batteries and reduce their production costs. Their work has been so influential that the materials they invented are now used in many types of lithium-ion batteries worldwide, particularly those commonly found in power tools and electric vehicles. In 2016, Dr. Dahn became the third Dal researcher in four years to win the Herzberg Gold Medal, Canada’s top award in the sciences. A year earlier, he received one of the inaugural Governor General’s Innovation Awards. Those may seem like the sort of accomplishments that mark the culmination of a career — but Dr. Dahn’s work is far from over. In 2016, Tesla Motors, the electric car and energy storage company founded by Elon Musk, began a five-year partnership with Dr. Dahn that it hopes will lead to longer-lasting batteries and an acceleration of its dream of building cheaper, mass-market electric cars. That dream centres on Tesla’s building of a $5-billion gigafactory in Nevada that will supply the batteries in its cars and virtually double the production of lithium-ion batteries in the world. But some of the greatest help Dr. Dahn has provided through his career is to the dozens of graduate students he’s trained — many of whom have gone on to incredibly successful careers in industry.